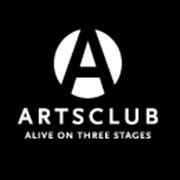 The Arts Club Theatre Company is one of Canada’s most successful professional theatre companies. This non-profit, charitable organization presents plays year-round in three theatres: the Granville Island Stage and the Goldcorp Stage at the BMO Theatre Centre and the Stanley Industrial Alliance Stage on Granville at West 12th. The Arts Club Theatre Company also has an extensive provincial touring programme.